Your gag reflex is triggered when the soft palate at the back of your throat is touched. Do you find your gag reflex in high alert when you go to the dentist? It’s embarrassing and uncomfortable, but you’re not alone. About one in five of us experience the gag reflex during a dental exam. Many people are nervous when they go to the dentist. That’s pretty common. During your treatment, your dentist may inadvertently touch the soft palate at the back of your throat – triggering your gag reflex. •	Be on time for your appointment. When you’re calm and relaxed, you’re less likely to get nervous and worked up your dental appointment. 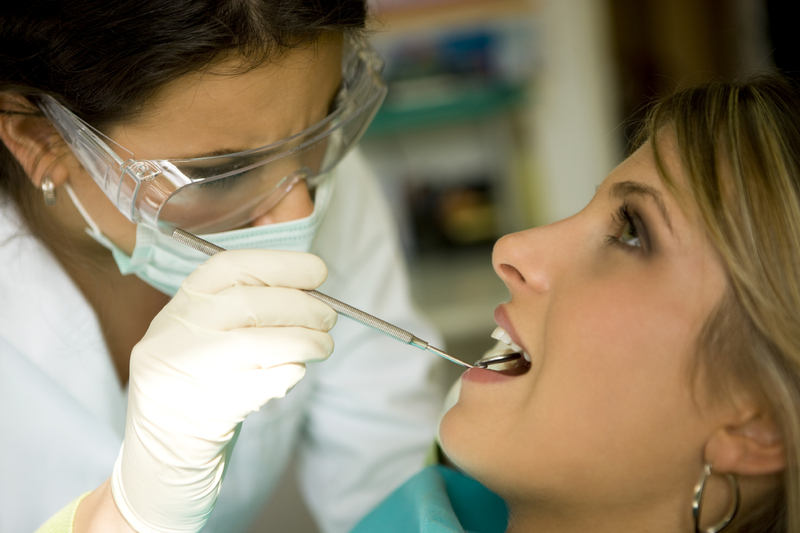 •	Confide your concerns to the dentist or dental hygienist who is working with you. They will appreciate the heads up and make the effort to do what they can to make your experience more comfortable. •	Don’t forget to breathe. Concentrate on breathing through your nose when you have instruments in your mouth. •	Distract yourself during the dental procedure. Lift your right foot up and down five times and do the same with your left foot. Move your feet gently so you don’t disrupt what your dentist is trying to do. Take note of your surroundings, listen to music or engage in conversation with your provider. If you have a sensitive gag reflex, certain techniques, such as hypnosis, acupressure, or acupuncture—can help you relax. Remember: It’s important to have a dental checkup even if you have a good dental hygiene routine. A professional cleaning can rid your teeth of calcified plaque, also known as tartar, which can build up in hard-to-reach places. Your dentist can also detect any oral health problems that may be symptoms to other health problems. If you’d like more tips on what to expect when you go to the dentist, read more. I believe ,Benefits of having a treatment with the dentist are he/she will properly diagnose you against the problem and let you relieved from the infection with various tools and strategies they professionally have so, Don’t worry and go to the dentist without any hesitation.